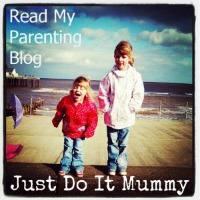 Recently I was sent some Provamel Orange & Redbush Yoghurt to review. 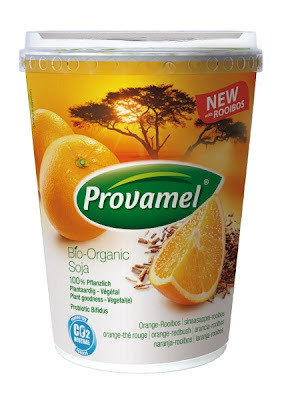 Orange & Redbush Yoghurt is the latest addition to the Botanical range from Provamel, which was launched last year. A Bio-Organic Soya Yoghurt, Orange and Redbush Yogurt is perfect for summer as it has a very light and zesty citrus flavour, with underlying hints of aromatic Redbush. Redbush or Rooibos is known for its high level of antioxidants and is packed with vitamins and minerals. Redbush is also traditionally used to treat skin allergies, stress, sleep problems, indigestion plus a variety of other conditions. The first every yoghurt of its kind, Provamel Botanicals Range brings together natural herbal remedies with fruits. Provamel Yoghurt is also unique as it is vegetarian, dairy-free, lactose free and gluten-free. Other flavours include Apple & Green Tea, and Lime & Lemon Balm. Provamel's new yoghurt complements the existing range of delicious plant-based products in the organic Provamel range, which includes soya milks, oat and almond milks, soya alternatives to yogurt, soya shakes, desserts, cream and custard. Provamel Orange & Redbush Yoghurt is available at an RRP of £1.55 from all major and independent health food stores.